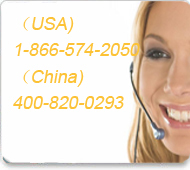 From China to the U.S.: Access code-001-area code-phone Number. From overseas to PandaPhone: 011-86-PandaPhone Number. From China to countries. : Access code-00-country code-area code-phone Number. Domestic calls to land phone in China: 0-area code- phone No. Outgoing calls to cell phone in China: Directly dial. From Hong Kong to the U.S.: 001-1- area code-Phone No. From overseas to PandaPhone: 011-852-PandaPhone No. From Hong Kong to countries other than the U.S.: 001-country code-area code- phone No. From Hong Kong to China: 0011-86-phone No. How do I get my Phone? Why the recharge service is the best option to refill minutes in China for China SIM? How long will take to refill my China SIM card?